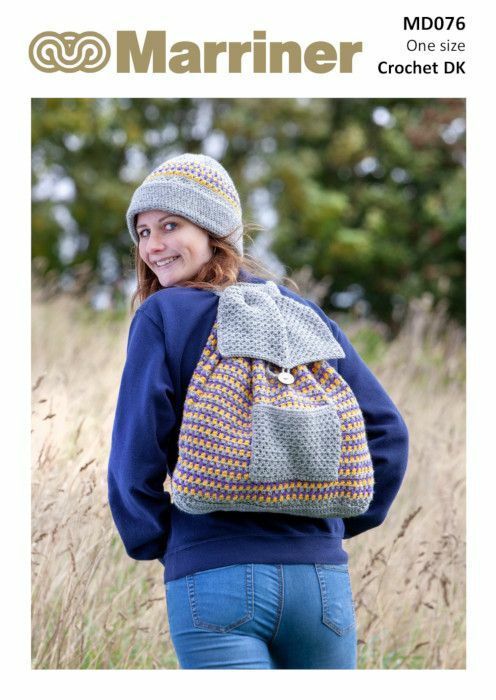 A matching hat & rucksack crochet pattern set ready for some winter exploring or Christmas shopping. 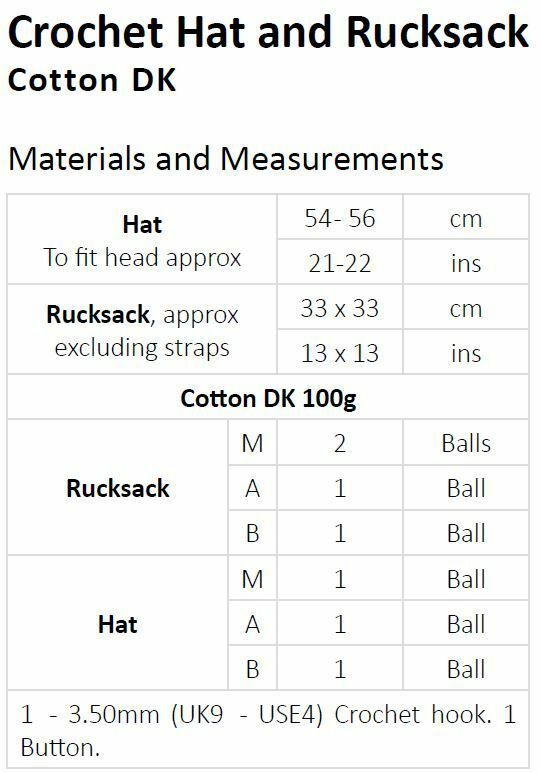 The hat is a 'beanie' style design and the bag is secured with a drawstring and a single button flap. This is made with our classic Double Knit in the colours Silver, Mustard and Violet. Hooks required 1 - 3.50mm (UK9 - USE4) Crochet hook. 1 Button.